Merlili Bridal Boutique - Creative Mindworks, a Miami Florida based internationally ranked integrated marketing and advertising firm, solutions driven and Thinking Fresh Daily! Merlili, a premier bridle boutique on Coral Gable’s famed Miracle Mile, was the new kid on the block, on a block jam packed with bridal shops. They came to Creative Mindworks looking for a way to stand out from the rest of the crowd. Our solution? 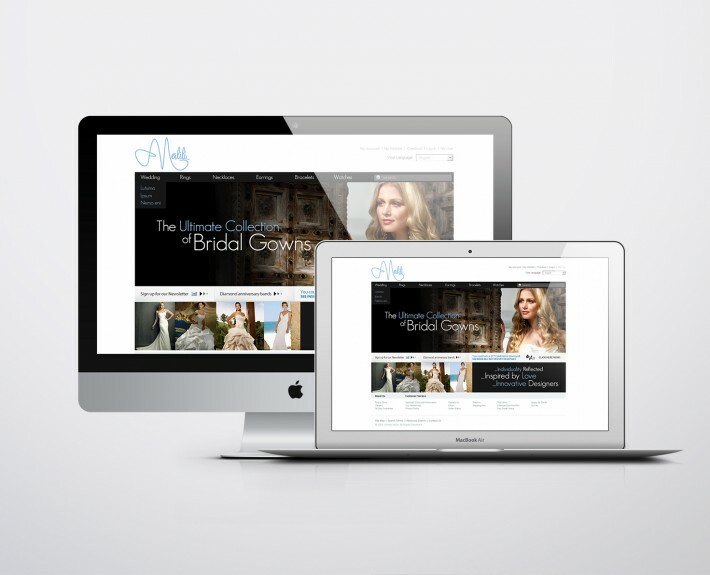 A new logo, website and online presence that possessed the same inspired sense of elegance as the bridal gowns and accessories they sold.